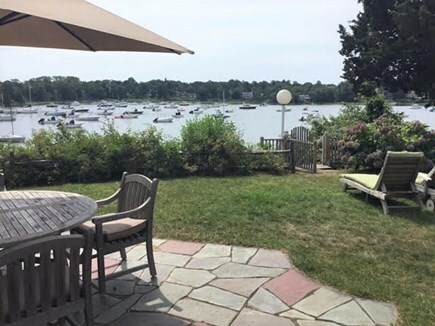 Light filled, four bedroom, 2-½ bath (plus outdoor shower), fully air-conditioned house with fabulous close-in water views and steps from swimmable private dock. 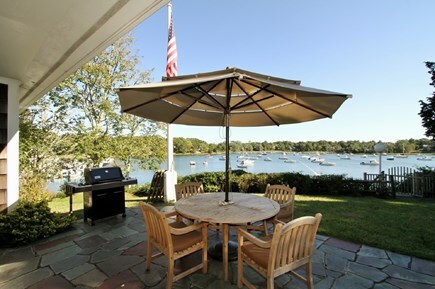 The house is surrounded by water for fantastic panoramic saltwater views and set on a promontory. It also has wonderful gardens and a grove of cedar trees. 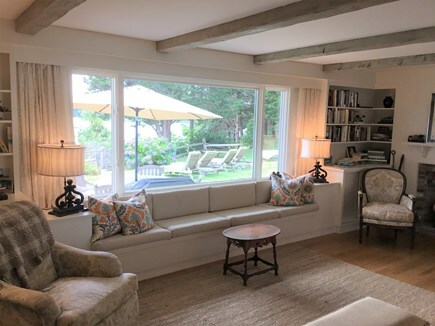 It’s so pleasant to breakfast, looking at the water, in its sun-drenched country kitchen with attached greenhouse--or perhaps enjoy the open waterfront dining room. 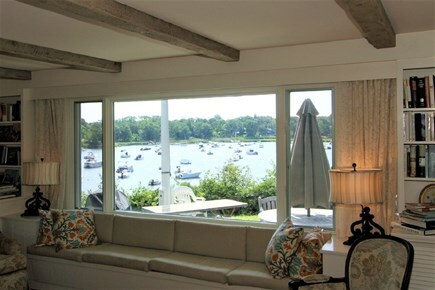 Relax in its serene living room, gaze at the water and enjoy your surroundings. 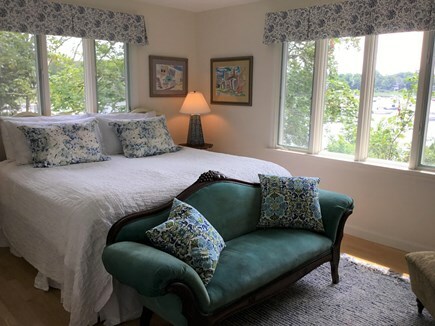 Dream in the pristine master bedroom to the lull of lapping tides and enjoy the gorgeous water view. 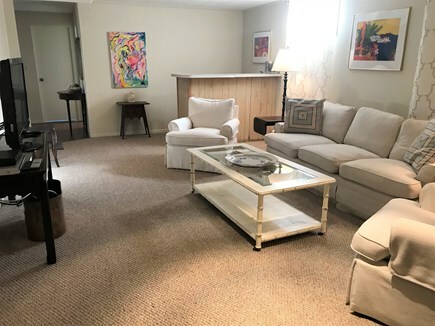 On the lower floor, you might like the large, comfortable entertainment center that boasts a large flat screen TV and unique collection of DVD’s. 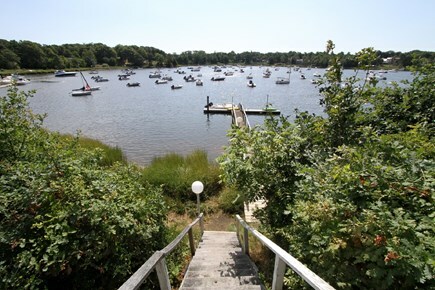 If feeling energetic, untie your kayaks from the dock and head down river to Pleasant Bay and Chatham’s waters. On a private road, down a long driveway and hidden from view, all this is to be found a short stroll from the very heart of wonderful East Orleans Village with its famous farm market, shops, gourmet and casual restaurants (including wonderful pizza, dessert, deli and homemade ice cream stand) and so close to Nauset Beach--an easy walk to everything but private enough that you're in another world! A true get-away. Have a glorious vacation! Additional pricing info: $175 utility fee per week, State and local taxes of 12.45% will apply. We had a great vacation in this lovely East Orleans house last summer. We enjoyed everything about it, especially the water views from just about every room and especially its great open floor plan. 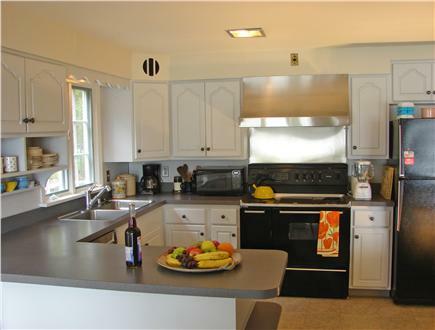 We found the kitchen conveniently laid out, easy to navigate and very family friendly. 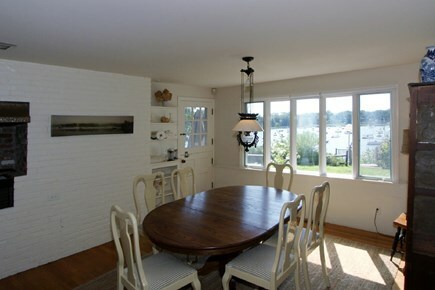 The kitchen is eat-in with a large adjacent dining area. Both have views of the water. 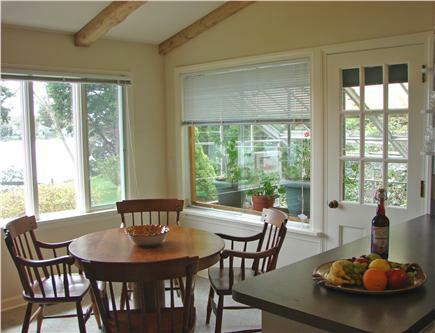 The patio is right off the dining area where we spent many afternoons or evenings grilling our favorite foods. My children certainly had fun swimming off the dock. And my family used the boat provided by the owner to go to the outer beach, which was great! Like staying in a 4 star hotel, every need was anticipated and we were incredibly comfortable during our stay. 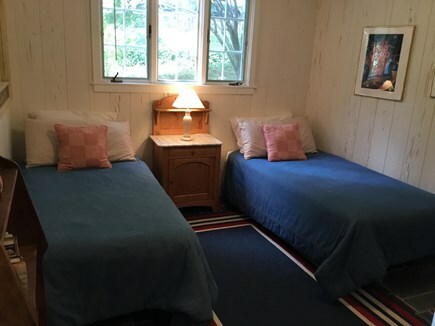 The location is great, near everything we wanted, but extremely private and peaceful. A lovely spot indeed. 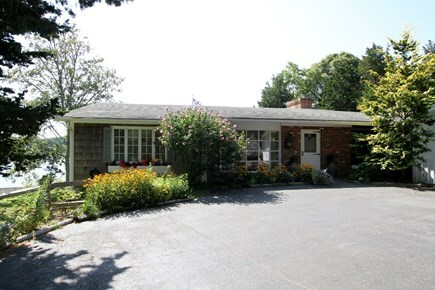 We highly recommend this property for any family vacation or get-together. So glad we found it! This Manhattan real estate broker believes in the simple - location, amenities and views package. But this house offers more and functions better that a five star hotel. I love it each time I go there and I highly recommend it. Our family returns to this ideal East Orleans house every year. We love everything about it- the location, the arrangement of the bedrooms, the outdoor terrace, the dock and the serene water views. We always remark to ourselves on how lucky we are to have found such and ideal spot to spend our precious family time together. Your home is everything we thought it would be and more. Having our family enjoy this picture perfect setting with us on our 50th anniversary made for many lasting memories. We had a wonderful vacation! Guest review from Mary I on 7/5/2010 for a stay in June 2010. "We're definitely coming back next year! The location is perfect. 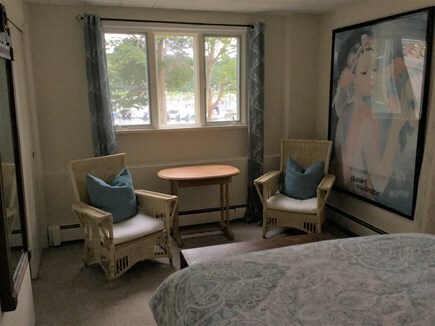 We could walk to the hamlet of E. Orleans; bike to Nauset Beach and watch the sailboats from the terrace of the house on Meeting House Pond. The dock was a favorite for leisurely sunbathing. The house was everything we wanted and more."